Automatic Soap Stamping press / machine available in vertical and horizontal multi cavity type which is suitable for stamping banded and bandless soaps toilet soap cakes and laundry bars. Production rate of 100 cakes a minute can be obtained on some of the models. So as to become a preferential business name, we are thoroughly engrossed in shipping an inclusive collection of Pilot Soap Plant. 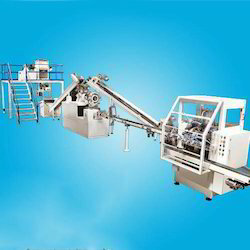 Fully Automatic Soap Making Machine, Fully Automatic Soap Making Machine Suppliers and Manufacturers. 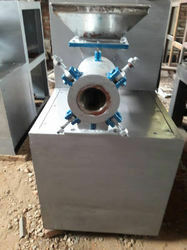 We are dealing in Automatic Soap Making Plants. Being one of the largest firms, we are involved in offering a wide range of Soap Making Plant to meet the necessities of our customers. Established in 2015, we, R. S. Engineering Works is a prominent manufacturer and exporter of Fully Automatic Soap Making Plants, Soap Stamping Machine, Shop Dies Mould, Chain Conveyor and Soap Cutter Machine etc. We are engaged in offering a high quality Laundry Soap Plants. It is widely used by the house makers and a in the laundries as well. It easily removes dirt from the core of the knitting of the clothes. This Laundry Soap Bar specially takes care of your clothes without affecting its longevity. We deals in all type of auto and semi auto machine starting capacity 100kg. We offer comprehensive range of soap plant and machinery which are renowned among our valued clients for its effectual functioning. We are deal in Laundry Soap Production Line. Information for this section is being compiled and may soon be available online. Thanks for visiting. Please Visit Again.